The hands on time is only about 90 minutes. The rest of the day is spent waiting for the dough to chill so the butter can hold it’s shape while you roll it out again and again. While I could easily manage the first turn (each time you roll out the dough, it’s a turn), it got more challenging as layers were added to the dough. It kept sticking to the counter and I almost panicked every time I saw my beautiful thin layers of pastry on the verge of tearing and collapsing! But somehow, I managed to get it all together in one piece resulting in a beautiful batch of dark brown, caramelized pastries. 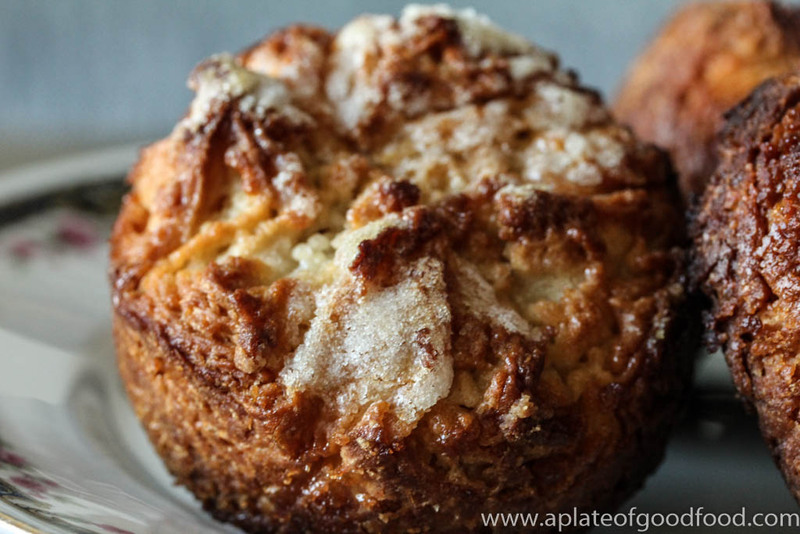 The recipe suggests using two 6-cup jumbo muffin tins. I have only one muffin tin, so I used ramekins to bake six of the 12 pastries and discovered later that the ramekins need a few minutes longer in the oven for the pastries to be done. The last step was to chill the prepared dough for at least 8 hours for the final proofing. This is where I ran out of patience and only let it chill for around two hours or so before popping them into the oven. 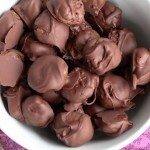 We couldn’t wait to try them with our evening cup of coffee and we weren’t disappointed. The aroma of pastries baking in the oven filled the house and for a while, it was as though we were in a French boulangerie. 2 tbsp (30g) European style better, melted and cooled plus an extra tablespoon for greasing – European style butter (such as Kerrygold or Plugra) is considered a better option than its American counterpart due to its higher fat content and lower moisture levels that make rolling it out easier. Whisk yeast and warm water in a large bowl and set aside for about five minutes until the yeast is activated and the liquid turns foamy. Grease the inside of another large bowl with some of the melted cooled butter and set aside. 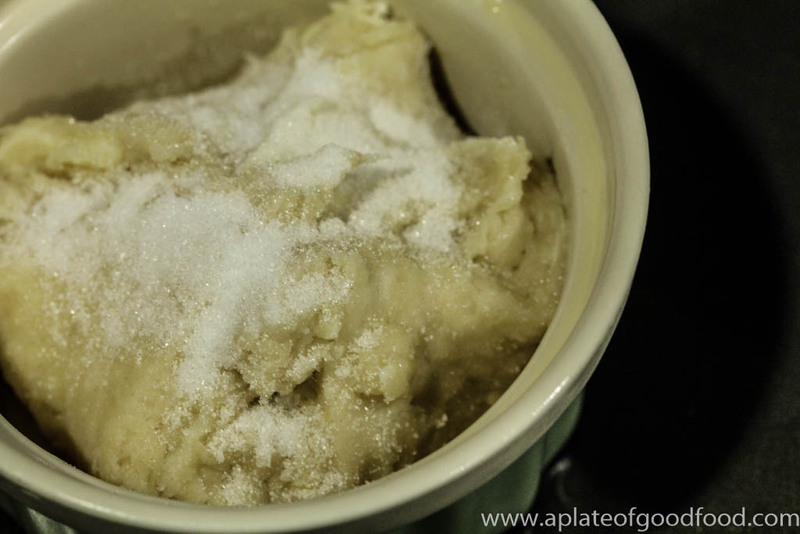 Once the yeast is activated, add the flour, sugar, salt and melted butter to the bowl. Mix to form a shaggy dough. Turn it out onto a lightly floured surface and knead for about five minutes until the dough is soft and elastic. Place the dough in the greased bowl. Turn it around to coat with butter. Cover the bowl with cling film and place in a warm spot for about an hour or so until the dough doubles in size. Once the dough has risen, remove the cling film, knock it back and lightly knead a few times. Cover the bowl once again and place in the refrigerator for the second proofing for another hour. 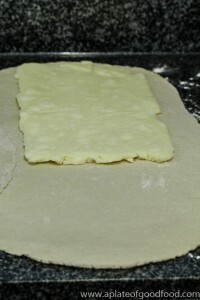 After an hour, turn the dough out onto a lightly floured surface and pat into a small square about 6″x 6″. Wrap in cling film and place in freezer for the dough to chill for about 30-35 minutes. In a stand mixer or using a hand held electric whisk, beat together the ingredients listed for the butter block on low speed for about 3-4 minutes. Turn the butter out onto the center of a large piece of parchment paper (I actually taped together two normal sized pieces of parchment to get a big one). Scrape it into a rough rectangle about 12″ x 6″. wrap up the butter in the parchment paper. 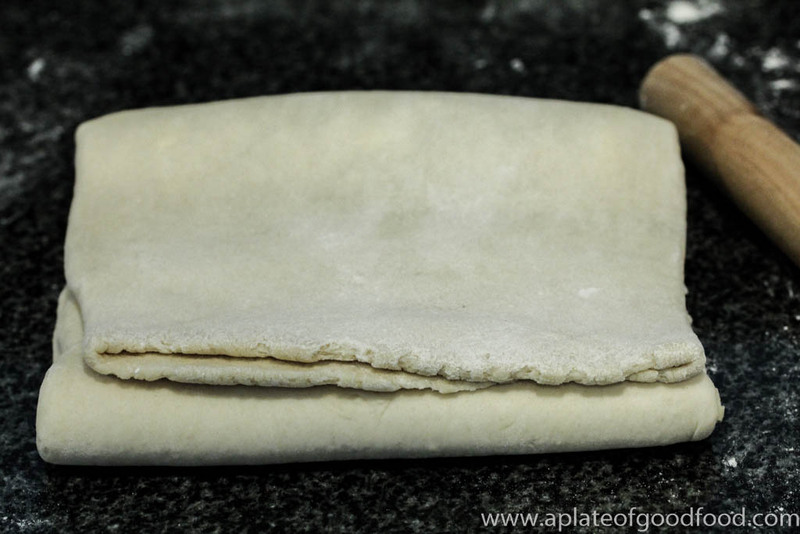 Roll it gently with a rolling pin to push out any air pockets and create an even thickness. Chill butter block in refrigerator for about 25-30 minutes. 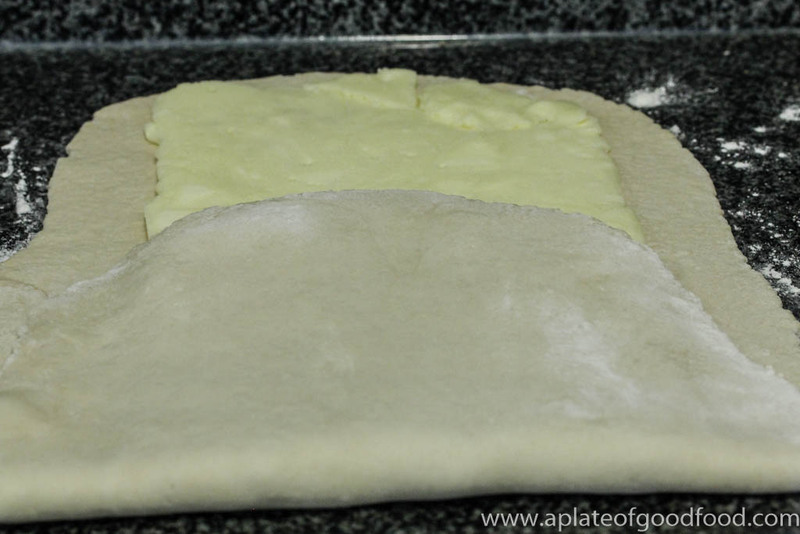 Roll out chilled dough on a lightly floured surface to a rectangle about 19″ x 7″. Place the butter block on the upper half of the rectangle. Fold the lower half of the dough up and over the lower half of the butter block. Fold the upper half of butter and dough over lower half. At this point, the butter should bend and not break. Press edges of the dough to seal. Rotate the package 90 degrees counterclockwise so the seam is to your right. 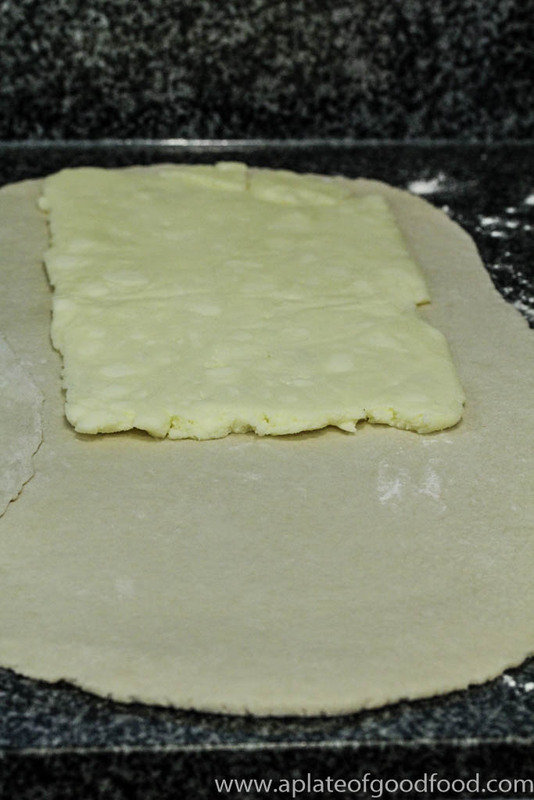 Roll out dough to a 24″ x 8″ rectangle with uniform thickness, about 3/8″ thick. Dust the rolling pin and dough with flour whenever it gets too sticky. Fold rectangle in thirds as mentioned above. Wrap in clingfilm and chill in freezer for 30 minutes before moving it to the refrigerator for another hour. This completes the first turn. 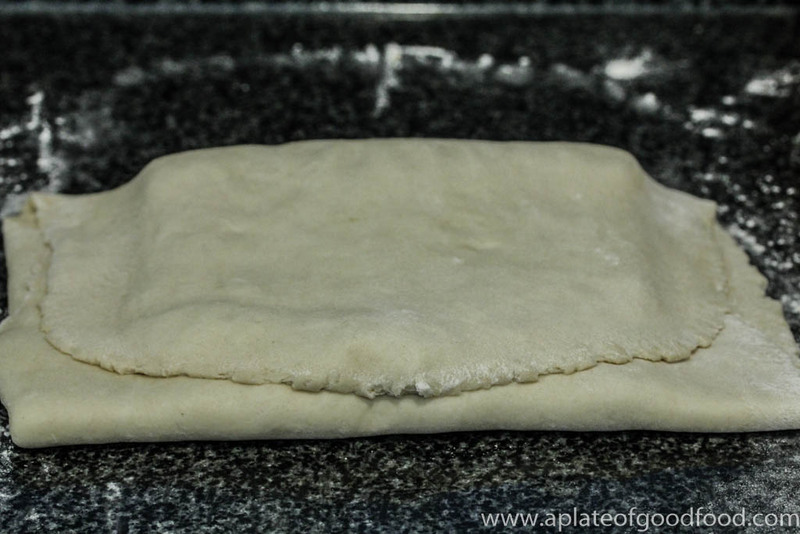 After the dough has been adequately chilled, roll it out again to a rectangle, about 24″ x 8″ in size. Fold into thirds and rotate 90 degrees counterclockwise and roll out again into a 24″ x 8″ rectangle. This completes the second and third turns. 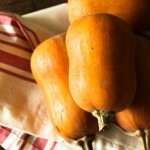 Sprinkle the surface of the dough with 2tbsp sugar and fold into thirds. Lightly dust with flour, wrap in cling film and chill in freezer for 30 minutes and then in the refrigerator for an hour. Place the dough on a lightly floured surface with the seam to your right. 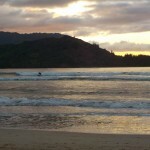 Roll it out to a rectangle a little larger than 16″ x 12″. Trim it to to 16″ x 12″ and cut into 12 squares. Brush off excess flour from the surface of the dough. 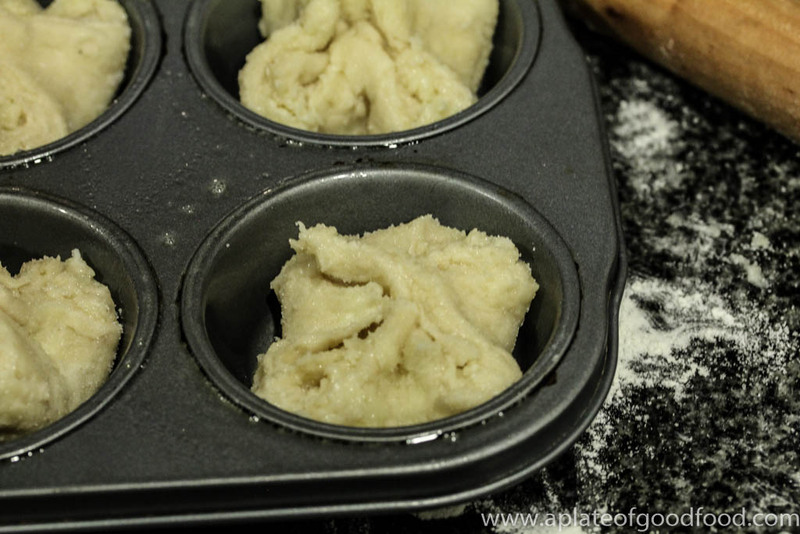 Coat the muffin tins and/or ramekins with the oil spray and set aside. Sprinkle squares with 1/4 cup sugar. Press lightly so it sticks to the surface. Turn them over and repeat the process. 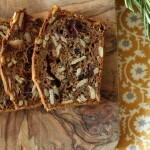 To shape the pastries, lift corners of each square and press into the center. Transfer to the prepared tins and chill in the refrigerator for at least 8 hours or up to 12 hours for the final proofing. When the dough is ready to be baked, preheat the oven to 375F/190C. Sprinkle the top of the pastries with another 2tbsp of sugar. 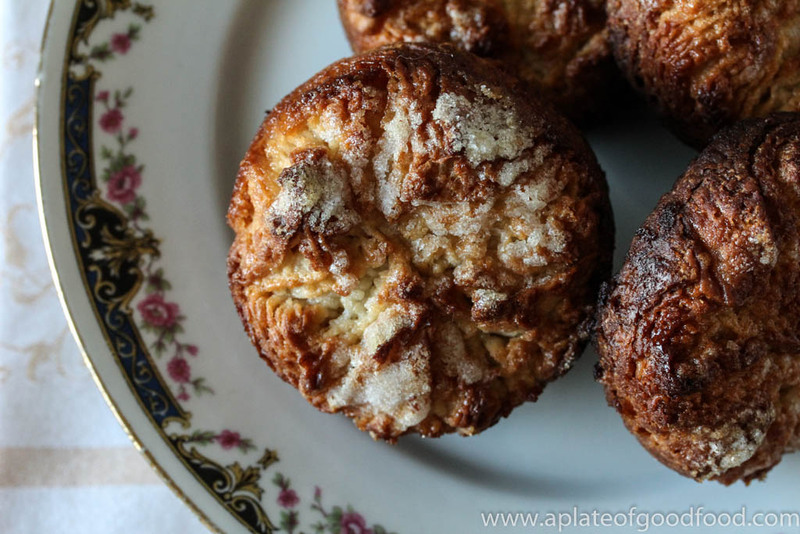 Place the tins in the oven and bake for 25-30 minutes or until the sugar has caramelized and the pastries are a lovely deep golden brown in color. Remove the tins from the oven and transfer the pastries immediately to a cooling rack. 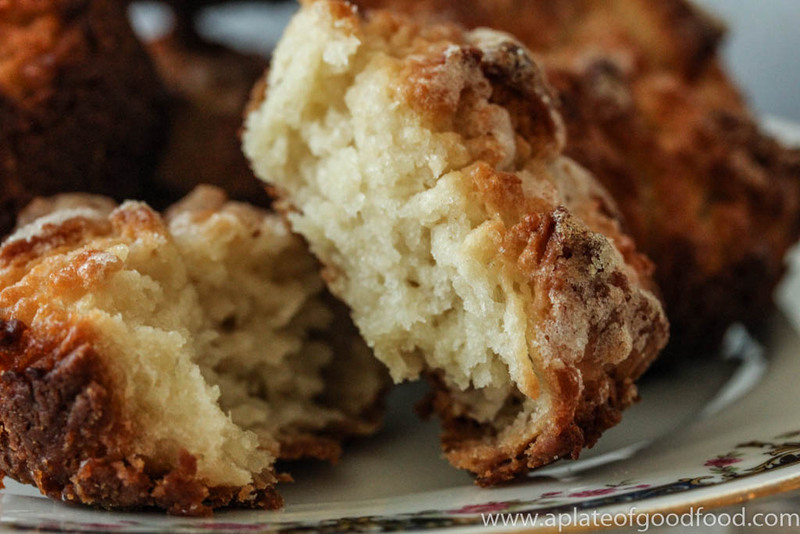 Kouign-amann are best eaten the day they’re made. However, the magazine suggests storing leftovers in an airtight container and reheating them for 5 minutes at 300F/150C before serving. So, if you have time on your hands and would like to tackle a challenge, this is definitely a rewarding one to try. 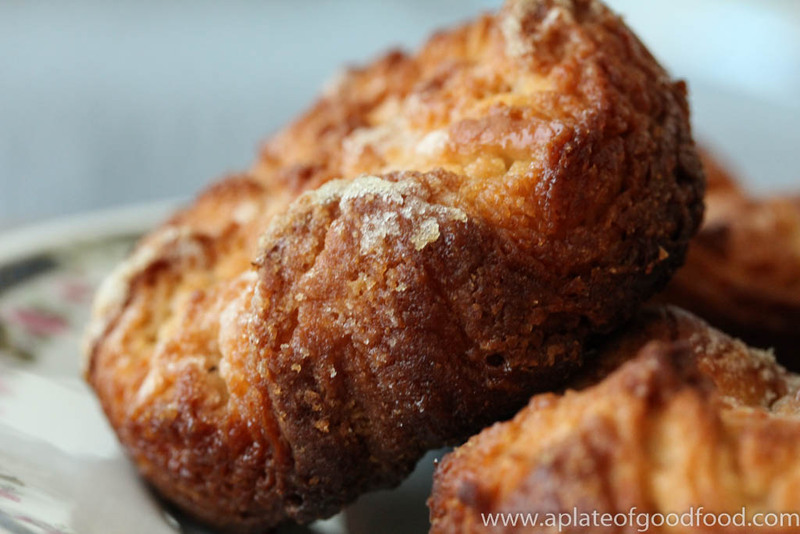 After mastering this technique, who knows, you may just invent the successor to the cronut! Whisk yeast and warm water in a large bowl and set aside for about five minutes until the yeast is activated and the liquid turns foamy. Grease the inside of another large bowl with some of the melted cooled butter and set aside. Once the yeast is activated, add the flour, sugar, salt and melted butter to the bowl. Mix to form a shaggy dough. Turn it out onto a lightly floured surface and knead for about five minutes until the dough is soft and elastic. 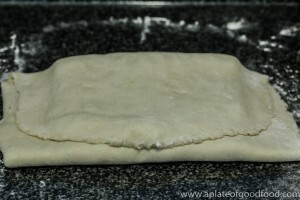 After an hour, turn the dough out onto a lightly floured surface and pat into a small square about 6"x 6". Wrap in cling film and place in freezer for the dough to chill for about 30-35 minutes. In a stand mixer or using a hand held electric whisk, beat together the ingredients listed for the butter block on low speed for about 3-4 minutes. Turn the butter out onto the center of a large piece of parchment paper (I actually taped together two normal sized pieces of parchment to get a big one). Scrape it into a rough rectangle about 12" x 6". wrap up the butter in the parchment paper. 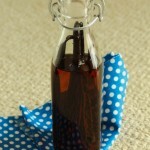 Roll it gently with a rolling pin to push out any air pockets and create an even thickness. Roll out chilled dough on a lightly floured surface to a rectangle about 19" x 7". Place the butter block on the upper half of the rectangle. Fold the lower half of the dough up and over the lower half of the butter block. Fold the upper half of butter and dough over lower half. At this point, the butter should bend and not break. 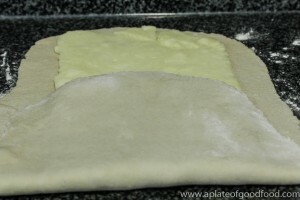 Press edges of the dough to seal. Rotate the package 90 degrees counterclockwise so the seam is to your right. Roll out dough to a 24" x 8" rectangle with uniform thickness, about ⅜" thick. Dust the rolling pin and dough with flour whenever it gets too sticky. After the dough has been adequately chilled, roll it out again to a rectangle, about 24" x 8" in size. Fold into thirds and rotate 90 degrees counterclockwise and roll out again into a 24" x 8" rectangle. This completes the second and third turns. Place the dough on a lightly floured surface with the seam to your right. Roll it out to a rectangle a little larger than 16" x 12". Trim it to to 16" x 12" and cut into 12 squares. Brush off excess flour from the surface of the dough. Coat the muffin tins and/or ramekins with the oil spray and set aside. Sprinkle squares with ¼ cup sugar. Press lightly so it sticks to the surface. Turn them over and repeat the process. 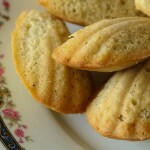 To shape the pastries, lift corners of each square and press into the center. Transfer to the prepared tins and chill in the refrigerator for at least 8 hours or up to 12 hours for the final proofing. When the dough is ready to be baked, preheat the oven to 375F/190C. Sprinkle the top of the pastries with another 2tbsp of sugar. 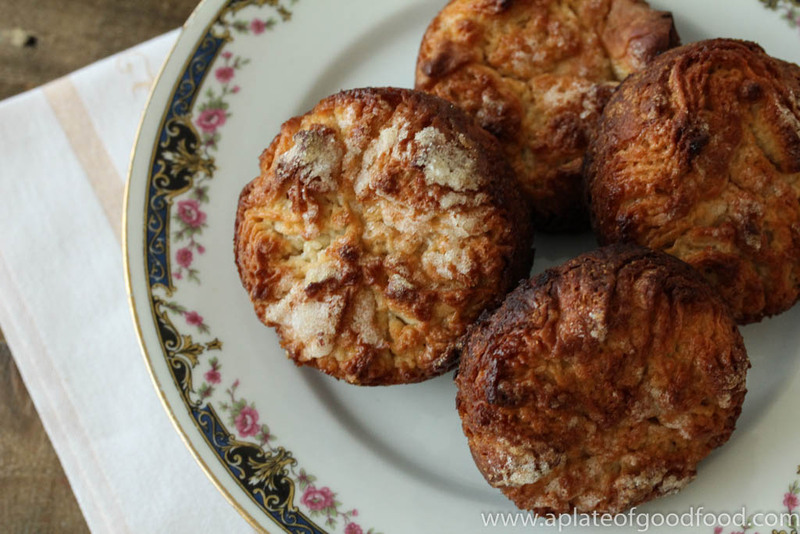 Place the tins in the oven and bake for 25-30 minutes or until the sugar has caramelized and the pastries are a lovely deep golden brown in color.